We know the worst of the several tornadoes were quite violent based on radar. At one point, there was 184 mph of differential winds indicated by the Doppler display. 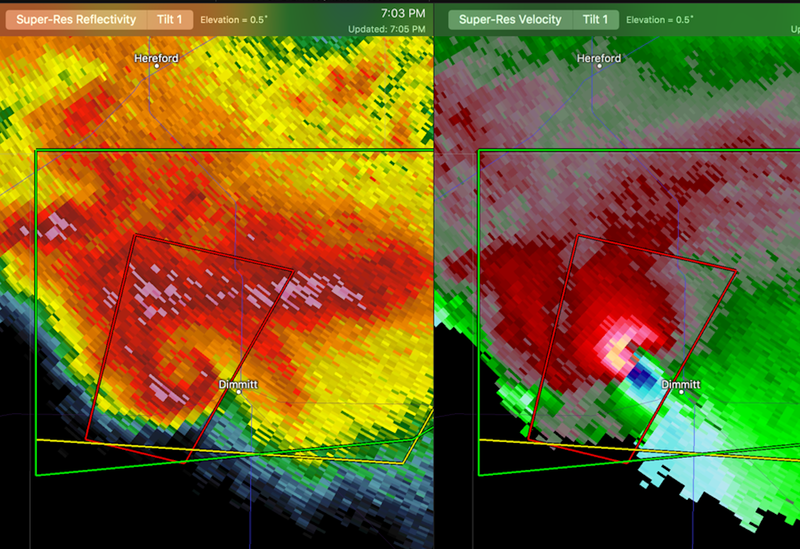 You can see the wrapped-up hook on the left and the extreme tornado winds on the Doppler display at right. Wow! The power of God's creation!